Justin’s note: Today, we turn to Strategic Investor editor E.B. Tucker again for more on one of the biggest investment opportunities today: the legal sports betting market. E.B. 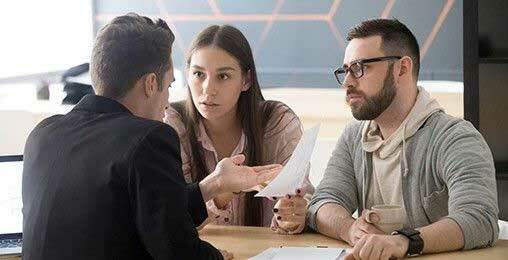 has been following this trend since May, when the Supreme Court opened up the floodgates to this new multibillion-dollar industry. I’m talking about the legal sports betting industry. In May, the U.S. Supreme Court ruled that states have the right to license legal sports betting within their borders. We decided to visit the state that challenged that old federal law and see what the early days of legal sports betting look like. 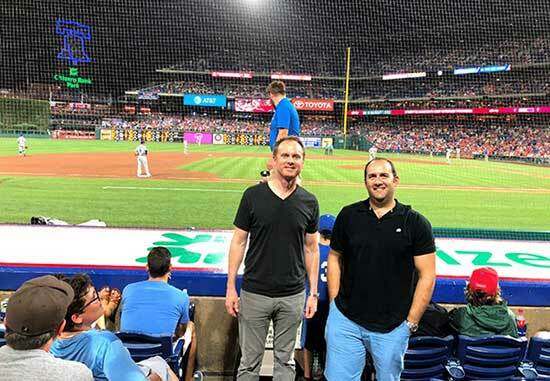 Strategic Investor lead analyst John Pangere and I flew to Philadelphia to see the Phillies take on the Los Angeles Dodgers. We chose Philadelphia because it’s only a 45-minute drive from Atlantic City, where several casinos opened up sports betting windows in the last few weeks. You should know that John and I are not sports enthusiasts. While we enjoy seeing a few games each year, you’re far more likely to see us watching Bloomberg than ESPN. That’s why our focus on sports betting has been how to make money as this formerly unlawful activity comes into the mainstream. During our research, we read the autobiography of Amarillo Slim, the greatest gambler of all time. In his book, Amarillo Slim in a World Full of Fat People, he explains why taking sports bets is so lucrative. People tend to bet on the favored team. Slim said the easiest way to increase your odds is to always take the underdog. That’s what we did in Atlantic City. We placed three bets and made a 60% profit in one night. This situation is unfair, so we decided to do something about it. These new investments are too profitable to miss out. We found that most people in Philadelphia still have no clue that sports betting is now legal. Our waiter at breakfast was a college student. He was shocked when we told him what we were up to. He said he just got out of trouble with a menacing bookie. He bet too much on his favorite team during a bowl game last year. 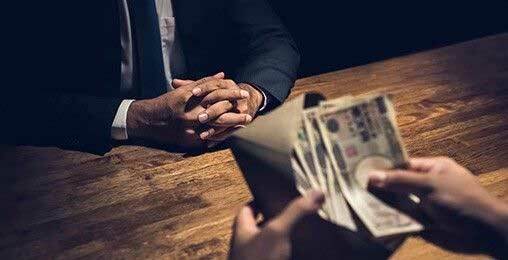 The bookie charged him 20% interest until he cleared the debt. We were in town for a Monday night game. We drove to the Borgata Hotel Casino and Spa in Atlantic City before the game to place our bets. The casino just recently opened its sports betting windows. It has four in total, adjacent to six horse betting windows. We were in a 15-person line waiting to place our Major League Baseball bets. To us, it seemed busy considering that it was a Monday afternoon in July when baseball is the only professional or collegiate sport currently in season. This was our first time betting on any sporting event, so we had to do some research on the lingo. We decided to take Slim’s advice and bet on the underdogs. The Phillies were the underdog in the game we attended that night. Here’s how we bet. We focused on the “money line.” Most people just call this the “line.” It’s the straight outcome of the game. The line on the heavily favored Dodgers was -155. That means a bet of $155 paid $255 if they won. This is a good example of what Slim said in his book. Betting on the underdog means bigger upside with less money at risk. In our case, we bet $100 to win $135 on the underdog, instead of betting $155 to win only $100 by taking the favored team. $100 on the Phillies to win the game. $100 on the Phillies to win the first five innings. $50 on the Rays to beat the Yankees. With our bets in, we headed back to Philadelphia to watch the game. Having money on the line made the game much more exciting. The Dodgers are a better team. They took a 4-1 lead in the first few innings. We thought for sure our five-inning bet was a loser. Then in the bottom of the fifth, the Phillies went on a tear. They scored four runs in a row to take a 5-4 lead. Heading into the sixth inning, we had $235 in winnings. The Phillies went on to lose the game in the end. We lost our $100 bet on the final score. At this point, we were almost even. But we still had the Rays against the heavily favored Yankees. As you can see in the ticket above, a bet on the underdog Rays offered a great return. $100 paid $330 if the Rays won. 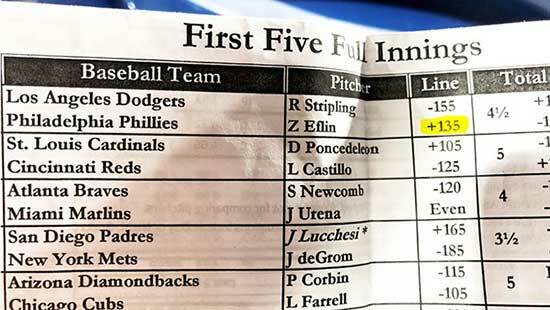 We bet $50 as a hedge against the Phillies bets. Major League stadiums have scoreboards showing results of other games going on at the same time. John and I both kept one eye on the Rays score the entire game. $100 on the Phillies to win the game: Lost $100. $100 on the Phillies to win the first five innings: Won $235. $50 on the Rays to beat the Yankees: Won $165. After the game, we decided to look at the odds of all of that night’s games. We wanted to see what would have happened if we bet $100 on every underdog that night. Amarillo Slim was right… Excluding any teams with even or minimal odds, if we put $100 on all of the underdogs, we would have turned $800 into $1,415. That’s just on the outcome for the full-game bets. Betting on the underdogs in the first five innings fared even better, turning $800 into $1,605. 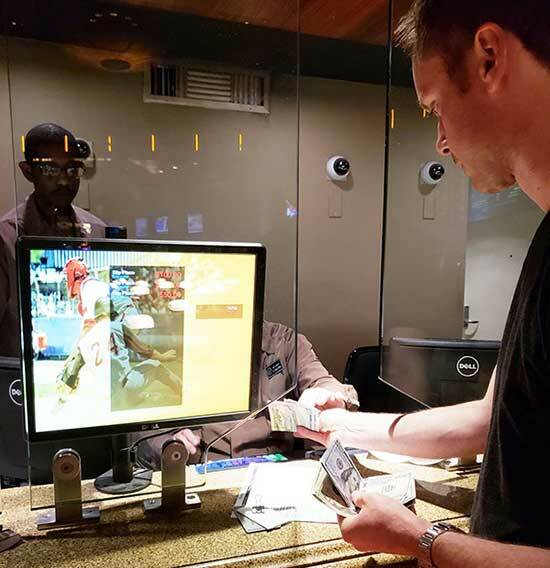 But before you rush down to the casino to take up sports betting, keep in mind that this was our unique experience. The odds change daily, even minute by minute, up until game time. While we cleaned up in this case, most people who bet on sports lose. Small casinos are the big winners as sports betting becomes legal. States need the licensing and tax revenue that comes along with any legal vice. That’s why we moved quickly after the Supreme Court decision, adding four stocks to our Strategic Investor core portfolio set to benefit immediately from this newly lawful industry. The good news for casinos is that most people don’t bet like John and I do. The guy in front of us in the betting line took the Yankees, Red Sox, and Indians. He lost on two of the three bets. With our winning tickets in hand, we drove back to the Borgata to collect the next morning. We parked the car and walked right in to the sports betting room. The clerk took our tickets, put them into a scanner, and handed us our $400. No bookies to deal with and no hassles. I don’t think we’ll be betting on many games in the future. We’d rather bet on the stocks of the companies taking bets. Since most people are terrible bettors, those companies should thrive in the coming quarters. However, if we do bet again, we’ll take the underdogs. P.S. The Supreme Court’s recent ruling on the legalization of sports betting will set up the greatest day in stock market history… when over $4 billion moves out of the shadows and into three very specific stocks – on one day, February 4, 2019. Get Monsanto and Bayer out of the marijuana business. The seeds have been altered and you don’t stay medicated very long. It’s a trick so you buy more. Plus, since it’s become legal in California, ill people who need their medication can’t afford it because of the extremely high tax. So it will go underground again to avoid the high taxes the dispensaries charge. I disapprove of this push for marijuana stocks – for legalizing any drugs to be grown, sold on the streets, marketed! We have enough loonies on the streets already! As far as we’re concerned, this event should be mandatory viewing for all Casey Research subscribers. 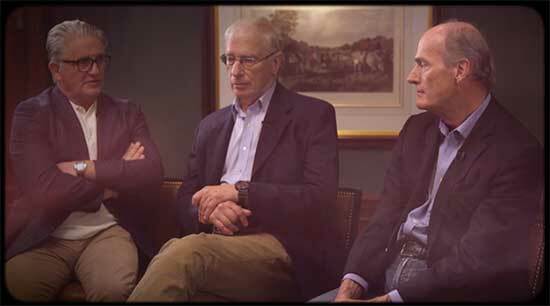 You see, for the first time ever, Doug will meet with publishing superstars Bill Bonner and Mark Ford for a candid conversation about their history, investing, the economy, and what they’re doing with their own money now.